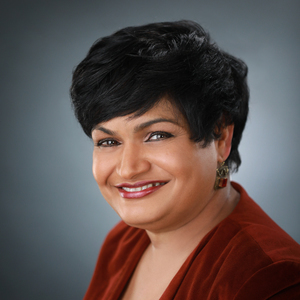 Rajshree Agarwal is the Rudolph P. Lamone Chair and Professor in Entrepreneurship at the University of Maryland and director of the Ed Snider Center for Enterprise and Markets. Rajshree’s research interests focus on the implications of entrepreneurship and innovation for industry and firm evolution. Her recent projects examine the micro-foundations of macro phenomena, linking knowledge diffusion among firms, industries, and regions to the underlying mechanisms of employee entrepreneurship and mobility. Rajshree has published articles in journals such as Academy of Management Journal, American Economic Review, International Journal of Industrial Organization, Journal of Industrial Economics, Journal of Law and Economics, Management Science, Strategic Management Journal and Review of Economics and Statistics. Her paper on employee entrepreneurship received the Best Paper Award for 2004 from the Academy of Management Journal, and her work on post exit knowledge diffusion received the Stephen Shrader Award at the 2005 Academy of Management Meetings. She is an associate editor of the Strategic Entrepreneurship Journal and the editor of the SSRN Entrepreneurship and Economics Journal. Rajshree also serves, or has served, on the editorial board of the Academy of Management Journal, the Academy of Management Review, Strategic Management Journal and Strategic Organization. Eisenhardt is the Stanford W. Ascherman M.D. Professor and Co-Director of the Stanford Technology Ventures Program. Her recent book (w/Don Sull) is "Simple Rules: How to Survive in a Complex World" (Houghton Mifflin Harcourt) which explores how simplicity tames complexity in business, life, and nature. She is also co-author (w/Shona Brown) of "Competing on the Edge: Strategy as Structured" Chaos (Harvard Business School Press), winner of the George R. Terry Book Award for outstanding contribution to management thinking and an Amazon Top 10 Annual Business and Investing book. Professor Eisenhardt is also author of over 100 articles in research and business journals, and the first author featured in Harvard Business Review's OnPoint collection. 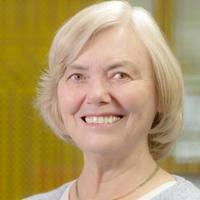 She is a Distinguished Visiting Professor with Insead's Entrepreneurship and Family Enterprise area. Professor Eisenhardt's research focus is strategy and organization, especially in technology-based companies and high-velocity industries. She is currently studying the use of heuristics and other cognitive strategies, strategic interaction in new markets and novel ecosystems, and strategy making by boards of directors. She has received the career Scholarly Contribution Award from the Academy of Management and the Global Award for Entrepreneurship Research. Michael L Tushman is the Paul R. Lawrence MBA Class of 1942 Professor of Business Administration at Harvard Business School. He obtained his Ph.D. in 1976 from MIT, and prior to HBS he taught at the Graduate School of Business at Columbia University. His work focuses on managing strategic innovation and large-scale change and on the relations among technological change, senior executive teams, an dorganizational evolution. At Harvard Business School he is the faculty chair of Leading Change and Organizational Renewal (LCOR) and the Program for Leadership Development (PLD). Tushman was faculty chair of the Advanced Management Program(AMP) and has taught in HBS’ MBA and doctoral programs. Tushman received an honorary doctorate from the University of Geneva. He was awarded the Sumantra Ghoshal Award for Rigour & Relevance in the Study of Management from London Business School, and the Academy of Management’s Career Achievement Award for Distinguished Scholarly Contributions to Management. He was honored with the Lifetime Achievement Award from the American Society for Training and Development (ASTD), and was recognized as a Foundational Scholar in the Knowledge and Innovation Group of the Strategic Management Society. Tushman received the Career Achievement Award for Major Contributions to the Theory and Practice of Technology Management from the Tusher Center for Management of Intellectual Capital, University of California, Berkeley. He received Distinguished Scholar Awards from the Organization Development and Change, Organization and Management Theory, and Technology and Innovation Management Divisions of the Academy of Management. He has worked with a range of magnificent doctoral students. Tushman is a founding director of Change Logic.